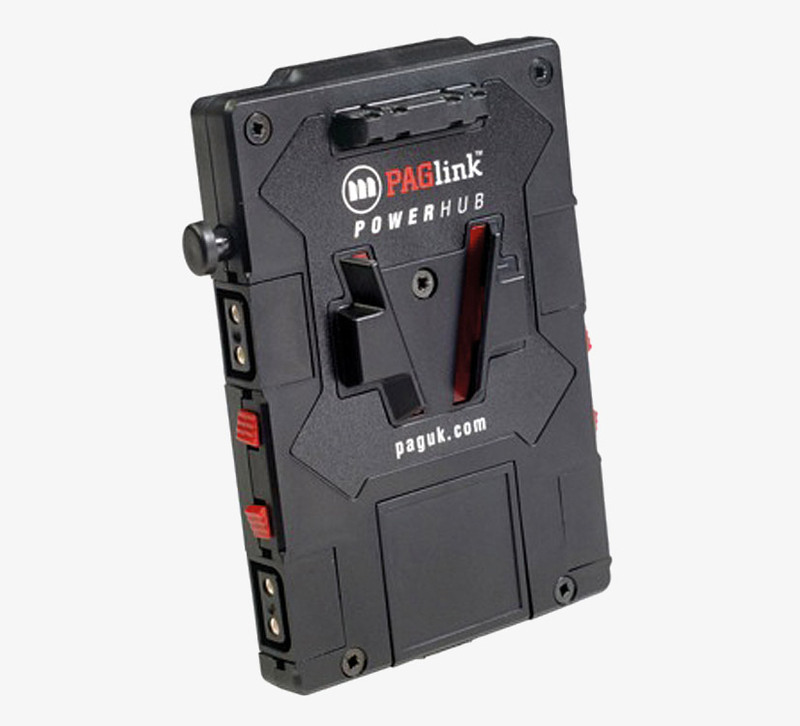 PAGlink is the only battery system that allows power to be drawn from the battery linking contacts. 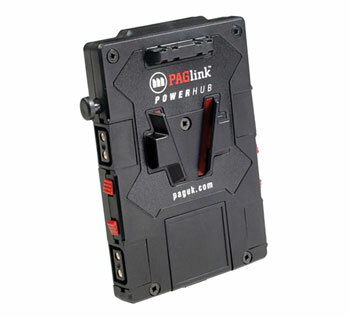 Linked PAGlink batteries provide up to 12A and are designed to power cameras and accessories simultaneously. 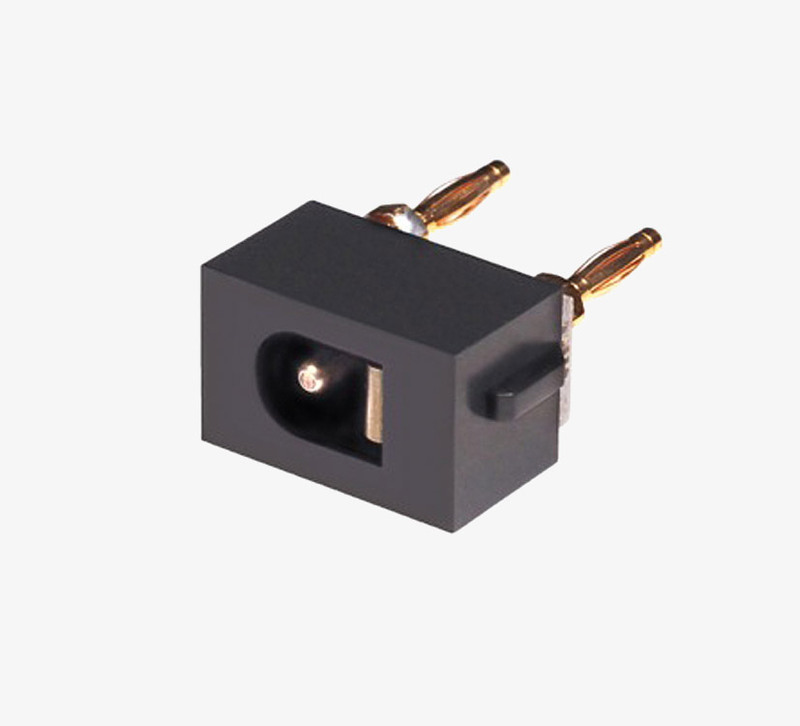 The power can be accessed by attaching this low-profile and lightweight PAGlink PowerHub, which can be used to power up to four 12V camera accessories, such as an on-board light, a monitor, transmission and audio equipment. 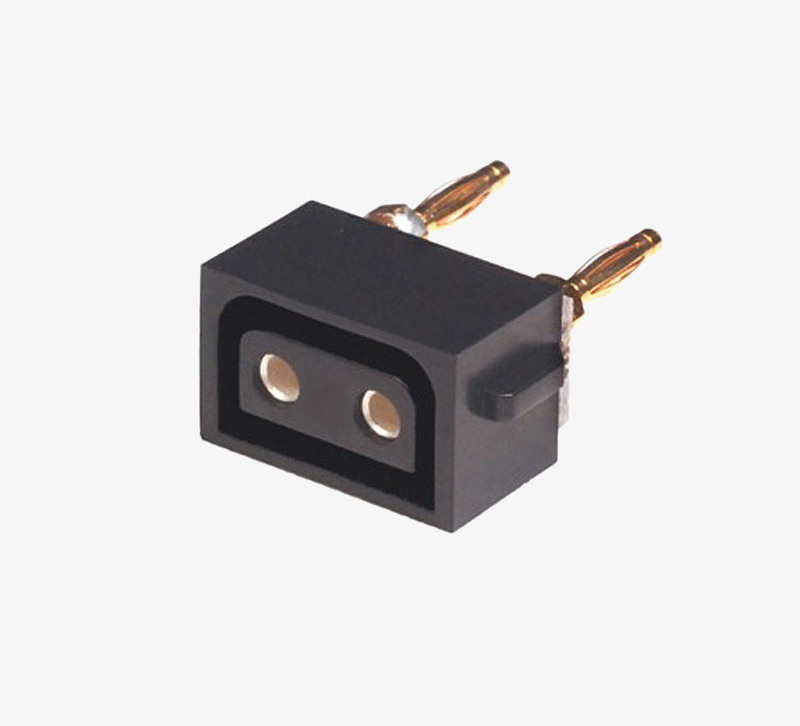 The PAGlink PowerHub incorporates four D-Tap output connectors that are interchangeable with 2-pin Lemo, 4-pin Hirose or 2.1mm DC plug-in connectors, available individually in this section. 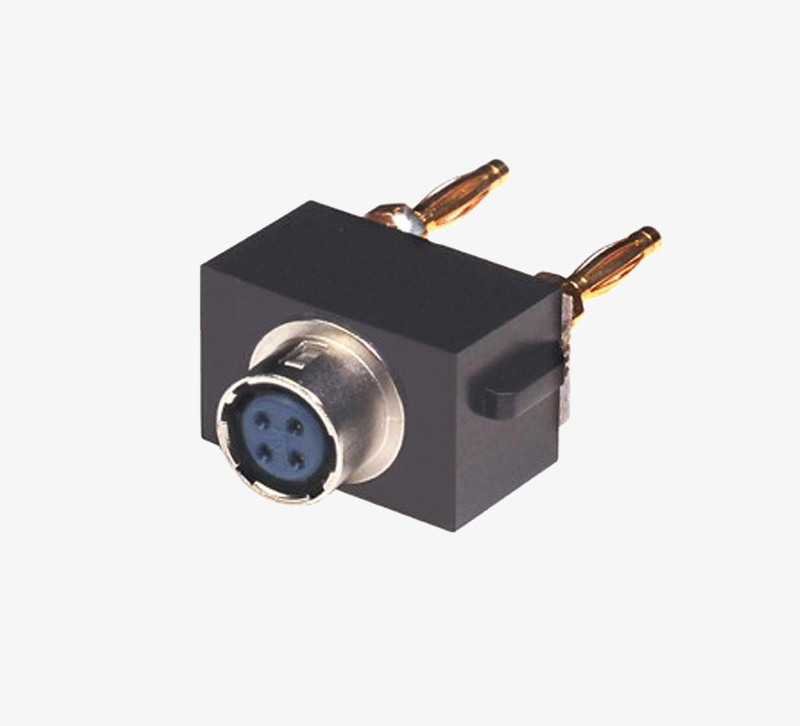 The plug-in connectors allow you to reposition the output to the left or right side of the camera, and to swap connector types, thereby customising the PowerHub to your individual requirements. 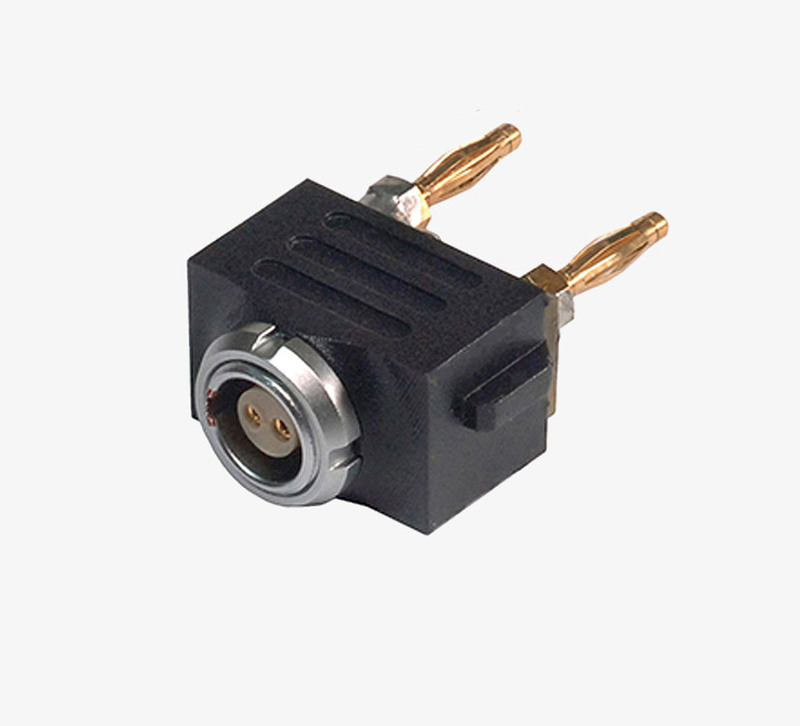 A USB module (1 Amp) is incorporated that allows you to power other camera accessories (5V) or charge your smartphone.